Raised in rural Georgia with pencils in hand as early as her mama can remember, Mandy has always been an artist at heart. She moved to the Georgia Coast after graduating from college in 2001, and spent 15 years offering her creativity in other arenas before becoming a professional artist. 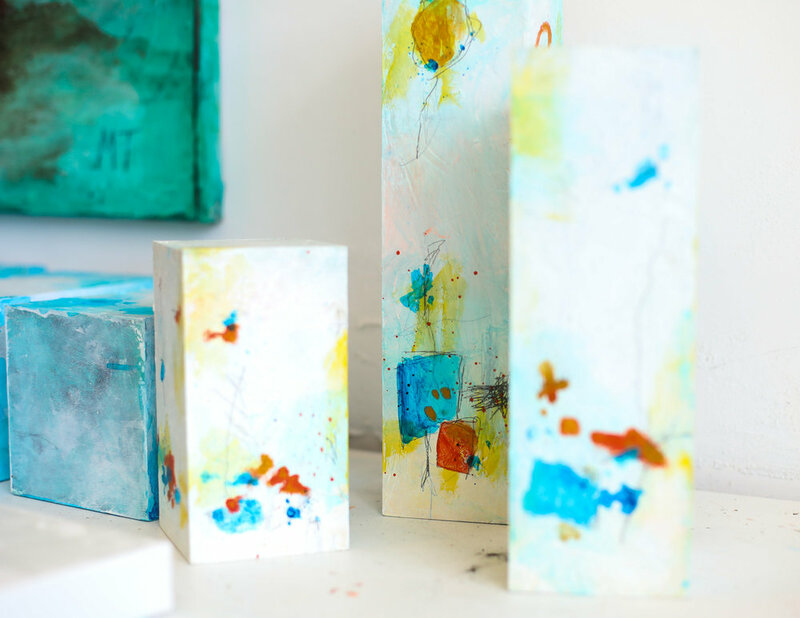 Mandy returned to art in her mid-30s as a way to work through depression and process her emotions, and found abstract art as the medium to most fully express emotional concepts. Through Analogue: A Field Guide for the Soul, Mandy blends art and words into a format that helps others connect with their own souls. Not only does she encourage others through her work, but she works with those who are interested in using creativity to bring healing in their own lives. She now lives in Brunswick Georgia with her husband and two beautiful daughters. She’s a member of the Glynn Art Association, Jekyll Island Art Association, and has a private studio downtown at the Brunswick Stewdio. You can find her work in multiple local venues and exhibits. Studio photos courtesy of Leslie Hand Photography. After setting aside art for more practical pursuits, my inner-artist laid dormant into my mid-30s and has recently come to life through abstract expressionism. I draw inspiration from the transcendence of the natural world. My pieces are loose abstractions that pull away from realism to capture the essence of nature. 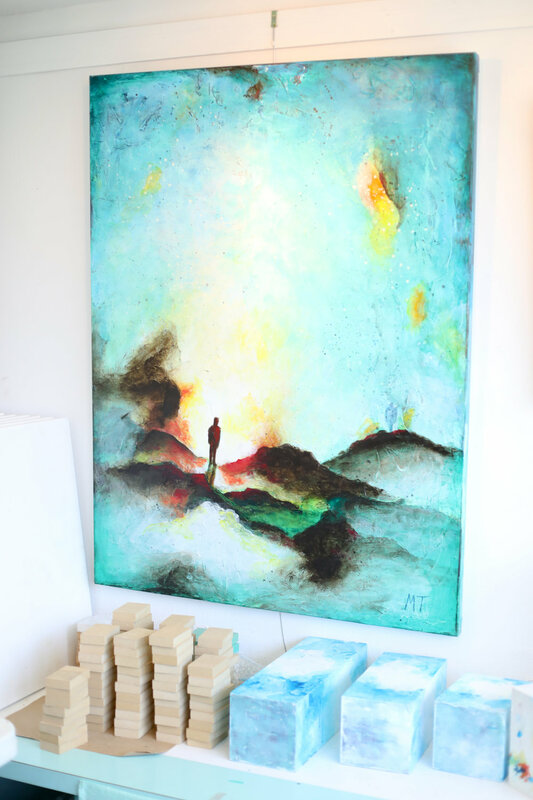 My paintings include colors that reflect the vitality of life, textures that communicate the physicality of nature, and strong lines with open spaces that evoke a sense of freedom. Above all else, I take seemingly chaotic strokes, splatters, and layers to create a balanced and pleasing work. My artwork is an invitation to see beauty in the messiness of life.